Dimensional Gauge Company was founded in 1983 by Jim Bible of Spartanburg, SC as the very first dedicated dimensional gauge sales and repair company in South Carolina. Now known as DGI Metrology/Dimensional Gauge Company, we are the most respected provider of granite surface plate repair and recertification in the Aerospace, Energy and Automotive sectors and we are the most technically competent provider of granite plate repair and recertification that is available. We are not a “clearing house” type calibration company. Rather we chose to specialize in a relatively few parameters and be the very best at it. While we provide 100% customer satisfaction in everything we do, we are committed to maintaining the highest quality fixed and mobile laboratories. The management and staff are dedicated to providing efficient, dependable and economical calibration services with the highest integrity. Our objective is to continuously improve by formalizing our management system and using only state of the art measuring equipment. Our future looks bright! 1. The first and only dedicated dimensional gauging sales and repair company in SC when founded in 1983. 2. Specializing only in granite surface plate repair/recertification in 1984. 3. First in the nation to achieve Guide 25 certification in granite surface plate calibration in 1999. 4. Began another specialty in the Acoustic/Vibration arena in 2004. 5. Added accreditation in electronics calibration in 2012. 6. Added National Instruments device accredited calibration in 2013. 9. 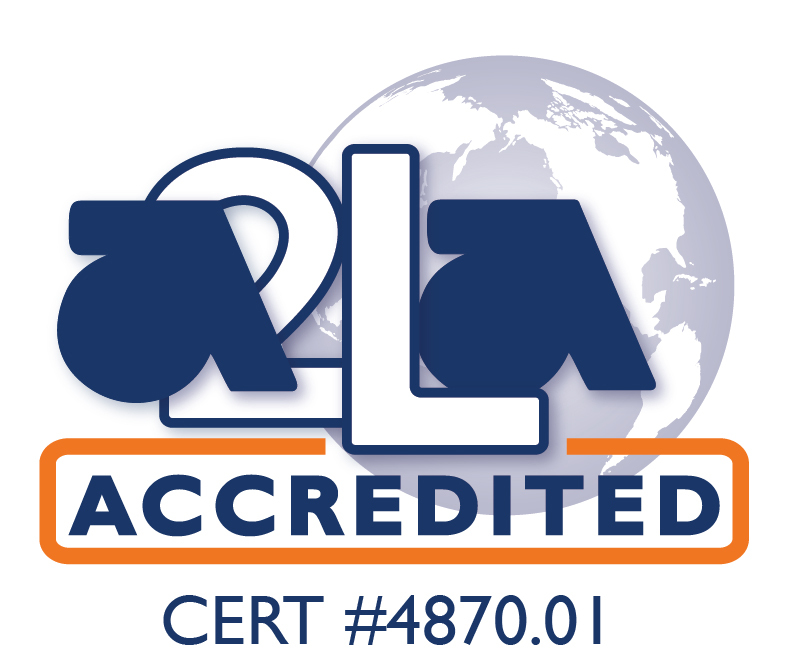 First in the nation to be assessed to the latest 2017 version of ISO/IEC-17025 through A2LA and first in the Southeast to be accredited to it!